Wednesday, October 30, 2018 – Col. Arthur Tulak, U.S. Army (ret. 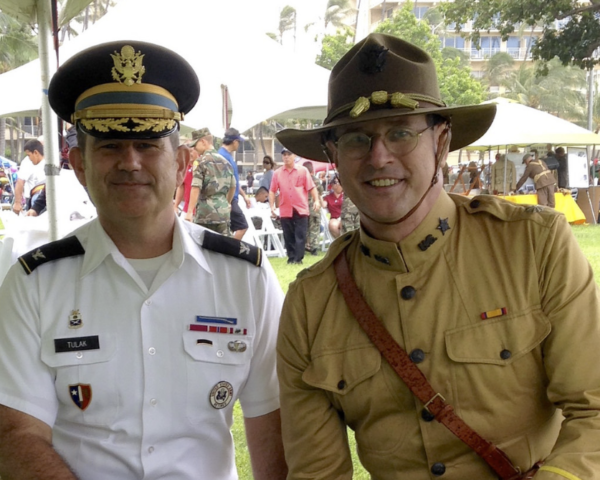 ), the chair of Hawaii's World War I Centennial Task Force, is pictured above with a World War I re-enactor from the Hawaii Historic Arms Association Col. (R) Tulak was interviewed by Mike Perry on KSSK. Take a listen HERE. Remarks by Col. (R) Arthur Tulak, Chairman of the Hawaii WWI Centennial Task Force ON BEHALF OF THE HAWAII WORLD WAR ONE CENTENNIAL TASK FORCE, WELCOME THE FIRST OF THE MEMORIAL DAY WEEKEND AND VETERANS DAY CELEBRATIONS THAT WILL TAKE PLACE HERE AT HAWAII’S ONLY WWI MEMORIAL DURING THE TWO YEAR CENTENNIAL COMMEMORATION PERIOD. 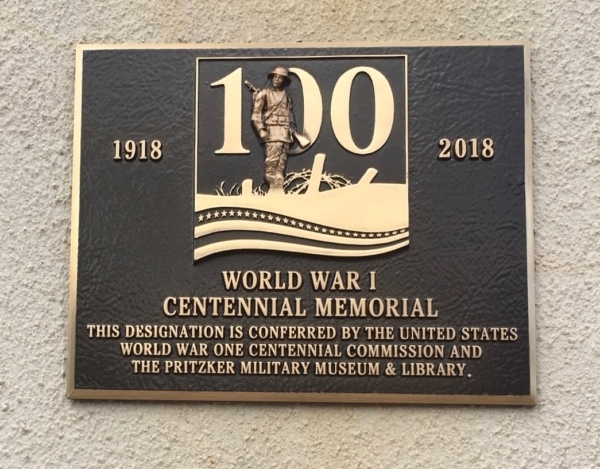 Attend the unveiling of the Centennial Memorial plaque awarded by the National WWI Centennial Commission on November 2, 2018 at 9am. 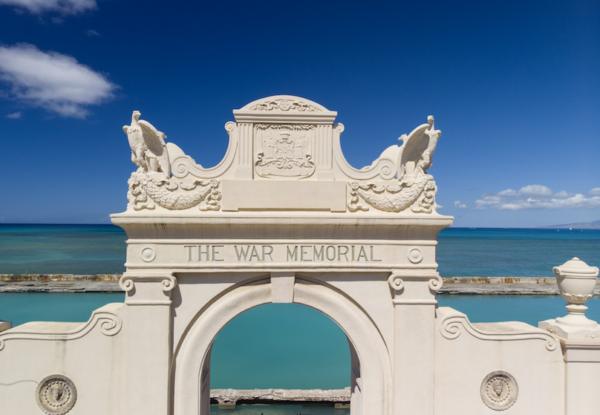 The 100 Cities / 100 Memorials Program, sponsored by the US World War One Centennial Commission has designated 100 memorials in 100 cities as official "WW1 Centennial Memorials" following a nationwide competitive nomination process. 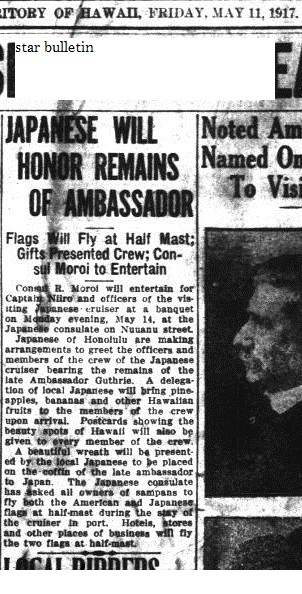 Hawaii WWI Centennial to feature films, concerts and more! 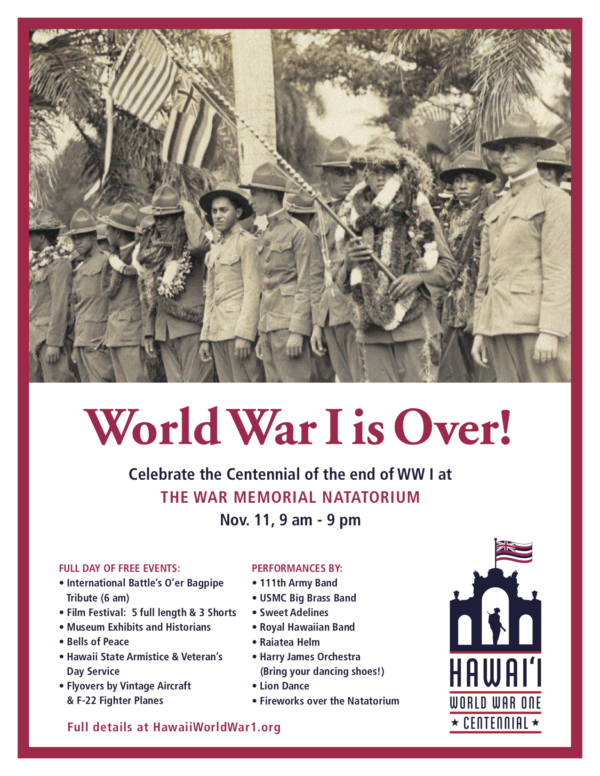 The service for the 100th year Anniversary of the end of World War I will be commemorated at the Waikiki Natatorium War Memorial on November 11, 2018. This celebratory event will be part of a full day of educational and entertaining activities. Seven films telling stories of WWI will be shown throughout the day. 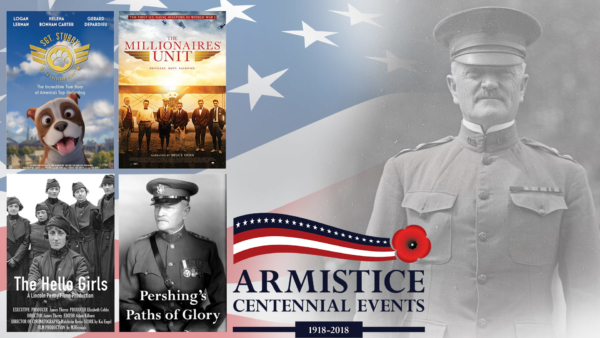 The 100th year Anniversary of the end of World War I, Armistice, will be commemorated on Veteran’s Day, November 11, 2018. This dual tribute will honor our ancestors who aided the war efforts and volunteered their services. 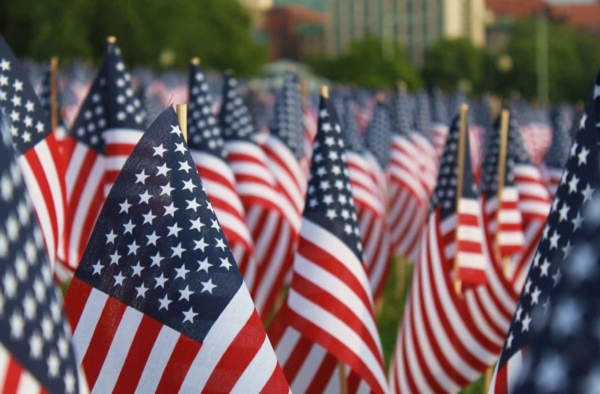 The entire day, Sunday, November 11th, will be full of free to the public activities. From its initial outbreak in Europe during 1914, World War I raged across the globe until 1918. The U.S. entered “The Great War” in 1917, with the U.S. 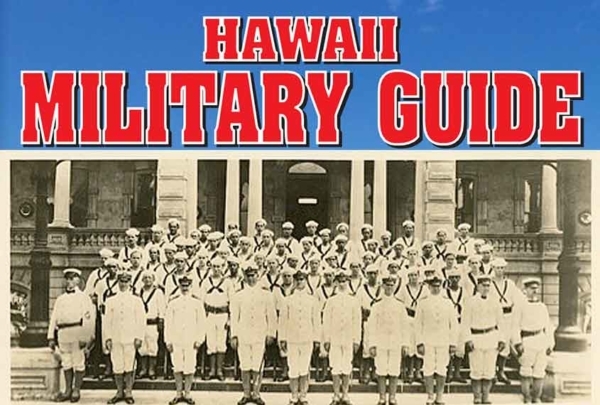 Territory of Hawaii contributing more than 9,800 volunteers for service. 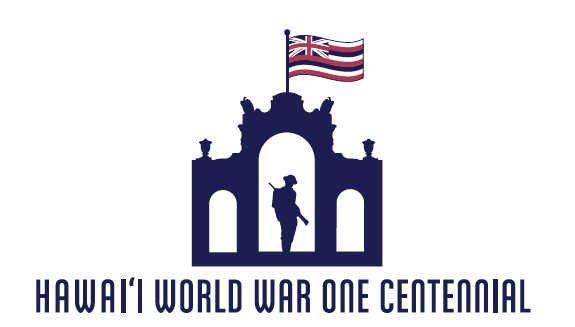 The Hawaii World War One Centennial Task Force has been organized to honor this first global conflict and Hawaii’s contributions. 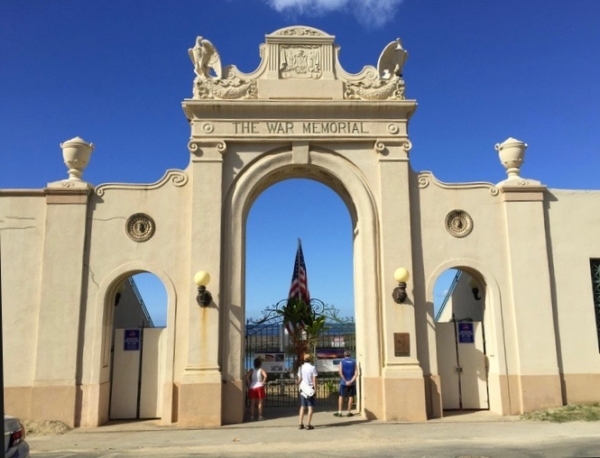 While special events have taken place throughout 2018, Hawaii’s most significant will be held on Veteran’s Day, Nov. 11, at the Waikiki Natatorium War Memorial.